Threading refers to the practice of executing programming processes concurrently to improve application performance. While it's not that common to work with threads directly in business applications, they're used all the time in Java frameworks. As an example, frameworks that process a large volume of information, like Spring Batch, use threads to manage data. Manipulating threads or CPU processes concurrently improves performance, resulting in faster, more efficient programs. Get the code for this Java Challenger. You can run your own tests while you follow the examples. Even if you've never worked directly with Java threads, you've worked indirectly with them because Java's main() method contains a main Thread. Anytime you've executed the main() method, you've also executed the main Thread. This code will print “main,” identifying the thread currently being executed. Knowing how to identify the thread being executed is the first step to absorbing thread concepts. New: A new Thread() has been instantiated. Runnable: The Thread's start() method has been invoked. Running: The start() method has been invoked and the thread is running. Suspended: The thread is temporarily suspended, and can be resumed by another thread. Blocked: The thread is waiting for an opportunity to run. This happens when one thread has already invoked the synchronized() method and the next thread must wait until it's finished. Terminated: The thread's execution is complete. There's more to explore and understand about thread states, but the information in Figure 1 is enough for you to solve this Java challenge. At its simplest, concurrent processing is done by extending a Thread class, as shown below. Here we're running two threads: the MainThread and the InheritingThread. When we invoke the start() method with the new inheritingThread(), the logic in the run() method is executed. Non-daemon threads are executed until the end. The main thread is a good example of a non-daemon thread. 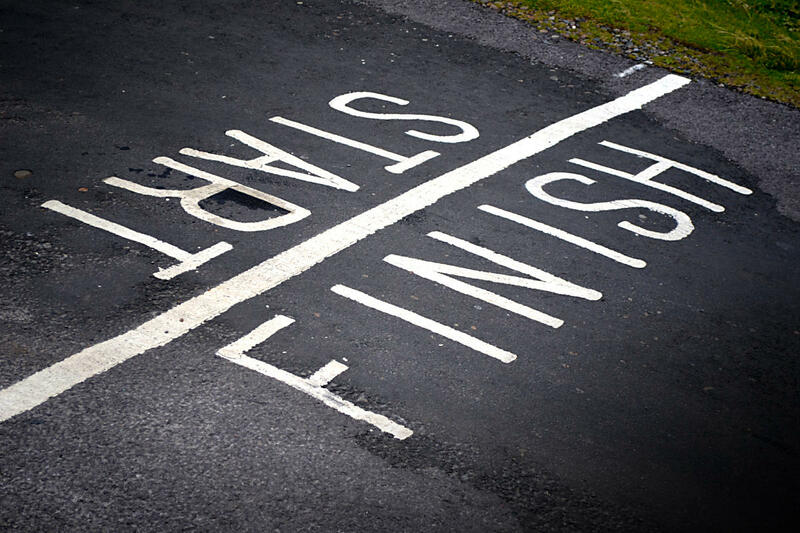 Code in main() will be always be executed until the end, unless a System.exit() forces the program to complete. A daemon thread is the opposite, basically a process that is not required to be executed until the end. Remember the rule: If an enclosing non-daemon thread ends before a daemon thread, the daemon thread won't be executed until the end. In this example I've used a daemon thread to declare a range from 1 to 100,000, iterate all of them, and then print. But remember, a daemon thread won't complete execution if the non-daemon's main thread finishes first. Start of execution in the main thread. Print numbers from 1 to possibly 100,000. End of execution in the main thread, very likely before iteration to 100,000 completes. The final output will depend on your JVM implementation. And that brings me to my next point: threads are unpredictable. It's possible to prioritize thread execution with the setPriority method, but how it's handled depends on the JVM implementation. Linux, MacOS, and Windows all have different JVM implementations, and each will handle thread priority according to its own defaults. Even if we set moeThread as MAX_PRIORITY, we cannot count on this thread being executed first. Instead, the order of execution will be random. The Thread class was introduced with Java 1.0. At that time, priorities were set using constants, not enums. There's a problem with using constants, however: if we pass a priority number that is not in the range of 1 to 10, the setPriority() method will throw an IllegalArgumentException. Today, we can use enums to get around this issue. Using enums makes it impossible to pass an illegal argument, which both simplifies the code and gives us more control over its execution. Take the Java threads challenge! You've learned just a little bit about threads, but it's enough for this post's Java challenge. What will be the output of this code? Analyze the code and try to determine the answer for yourself, based on what you've learned. In the above code, we created three threads. The first thread is Harley Davidson, and we assigned this thread the default priority. The second thread is Dodge Tomahawk, assigned MAX_PRIORITY. The third is Yamaha YZF, with MIN_PRIORITY. Then we started the threads. In order to determine the order the threads will run in, you might first note that the Motorcycle class extends the Thread class, and that we've passed the thread name in the constructor. We've also overridden the run() method with a condition: if wolverineAdrenaline is equals to 13. Even though Yamaha YZF is the third thread in our order of execution, and has MIN_PRIORITY, there's no guarantee that it will be executed last for all JVM implementations. You might also note that in this example we set the Dodge Tomahawk thread as daemon. Because it's a daemon thread, Dodge Tomahawk may never complete execution. But the other two threads are non-daemon by default, so the Harley Davidson and Yamaha YZF threads will definitely complete their execution. To conclude, the result will be D: Indeterminate, because there is no guarantee that the thread scheduler will follow our order of execution or thread priority. Remember, we can't rely on program logic (order of threads or thread priority) to predict the JVM's order of execution. Invoking the run() method to try to start a new thread. Trying to start a thread twice (this will cause an IllegalThreadStateException). Allowing multiple processes to change the state of an object when it shouldn't change. Writing program logic that relies on thread priority (you can't predict it). Relying on the order of thread execution--even if we start a thread first, there is no guarantee it will be executed first. Invoke the start() method to start a Thread. It's possible to extend the Thread class directly in order to use threads. It's possible to implement a thread action inside a Runnable interface. Thread priority depends on the JVM implementation. Thread behavior will always depend on the JVM implementation. A daemon thread won't complete if an enclosing non-daemon thread ends first. 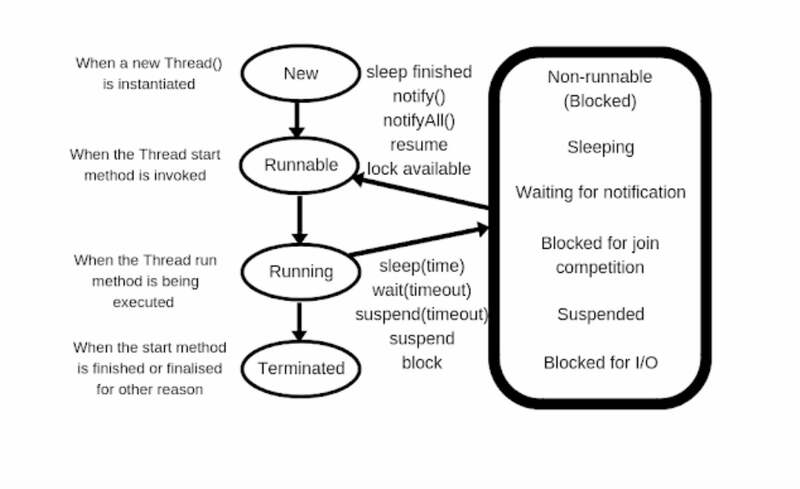 Read the Java 101 threads series to learn more about threads and runnables, thread synchronization, thread scheduling with wait/notify, and thread death. 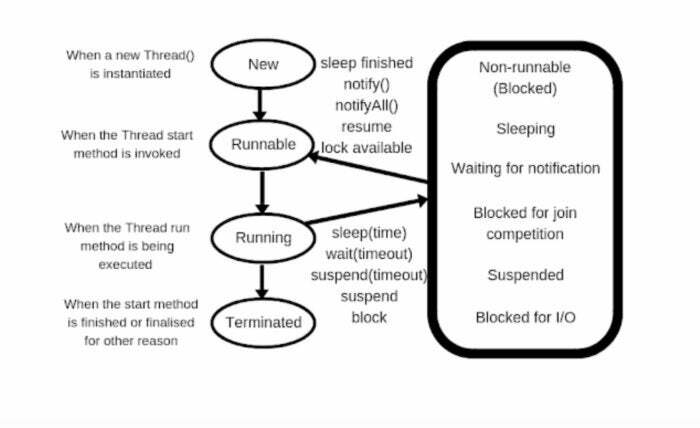 Modern threading: A Java concurrency primer introduces java.util.concurrent and answers common questions for developers new to Java concurrency. Modern threading for not-quite-beginners offers more advanced tips and best practices for working with java.util.concurrent. Get more quick code tips: Read all the posts in the Java Challengers series. Build your Java skills: Visit the Java Dev Gym for a code workout. Want to work on stress free projects and write bug-free code? Visit the NoBugsProject for your copy of No Bugs, No Stress - Create a Life-Changing Software Without Destroying Your Life.